It's taken over a year and a half to make, but we're officially open! 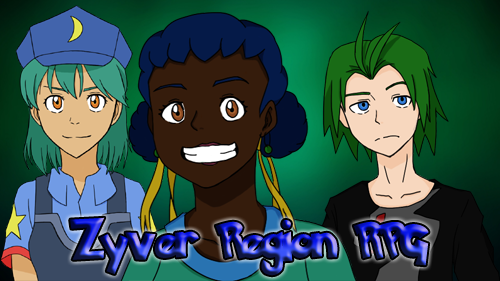 The Zyver Region is an AU Pokemon role-playing-game set in its own region with Pokemon made exclusively for it. We have unique locations, advancing plots, characters, and battle system. This RPG focuses on a character's journey and growth, with less emphasis on data-driven calculations and more on creative, strategic styles of handling situations. This RPG is for everyone to enjoy regardless of their Pokemon knowledge or experience. A destructive event known as the "Time of Chaos" left the region devastated by raging storms and disasters. Most evacuated to Kanto while they still could, but many more perished. One day, the unexplained event just stopped. For two years, people have been rebuilding - among the first to return were Professors Aspen and Maple. 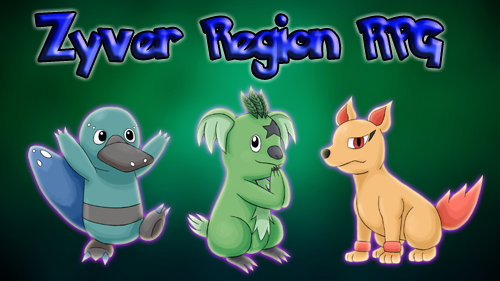 They discovered that Zyver Pokemon have adapted, making them wilder and stronger than those in other regions. But a new era begins as the time has come for trainers to return, mysteries to be solved, and adventures to be had. There are many dangers lurking in the shadows and some fear that devastation may one day begin anew. Changing seasons and weather renew the RPG experience, but watch out for the perils of Winter! Town festivals, a Safari Zone, puzzling challenges, and unlocking new areas - there's plenty to do!